As of 10th October, 'Elizabeth I & Her People' is reigning supreme as the latest exhibition from the National Portrait Gallery. The exploration of all things Elizabethan has over one hundred exhibits with ranging examples from every social class. Classic and unseen before portraits of Her Majesty are accompanied by images of her merchants; from butchers to goldsmiths, lawyers to calligraphers, all of whom starred in the supporting roles of the creating the Elizabethan age. 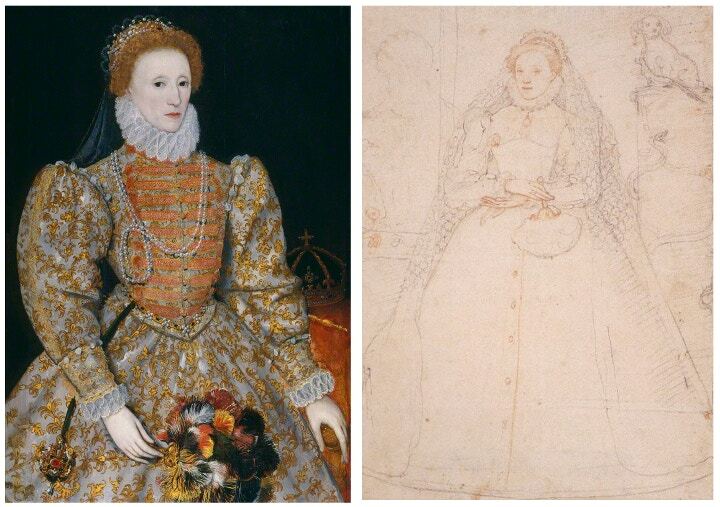 Daughter to Henry VIII and Anne Boleyn, even now Elizabeth I is somewhat of a celebrity. During her reign, members of every social class would have her portrait situated in their home, this constant presence helping to establish her strength as a leader. Her selection of impressive jewellery, costume and poses doesn't stray too far from our immediate expectations of a Tudor Monarch, but with a depth of research the National Portrait Gallery has provided us with a far greater vision into the lifestyle, ideals and tastes of the Elizabethan people. From the age that brought you Shakespeare and the Spanish Armada, Elizabeth's rule coincided with what is now known as the English Renaissance. The period was a prosperous one, with the expansion of trade, economic stability and successes in defence, all of this is reflected in the artefacts on display today. This was the first era that saw the rise in success of the middle class, and with increasing opportunities the national spirit soared. Britannia as we know it has been shaped by the progress made under the reign of Elizabeth I. We certainly have a lot to be thankful for regarding our ancestor’s efforts, including the abundance of talented playwrights, musicians and artists who will continue to influence creatives for generations to come. In keeping with the wealth of detail on offer, the National Portrait Gallery has launched their new web app "Who Do You Think You Were?" designed to enlighten you of your character from such an age. Answering a series of lifestyle questions (surprisingly what we do today and what our ancestors were doing 500 years ago isn't all that different) you discover your personality and career, be it soldier, poet or pauper. A charming teaser for a fantastic exhibition have a try online now. Find out more on their National Portrait Gallery website.